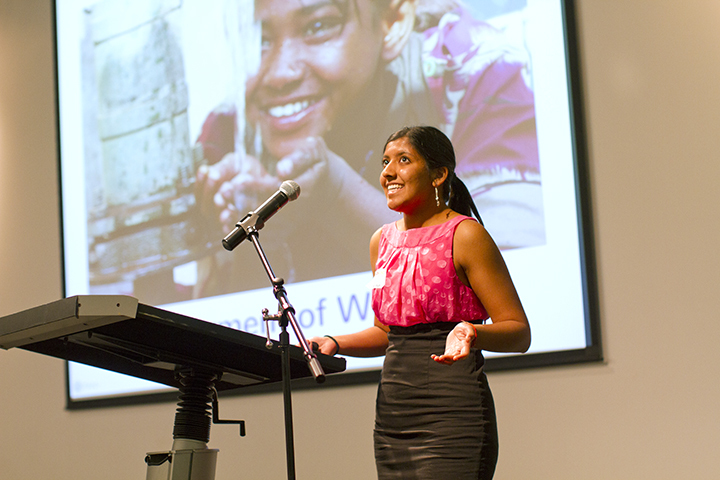 In May 2013 Pankti Shah walked across the grand stage at Wells Fargo Arena to receive the bachelor’s degree that made her not only a biomedical engineering graduate, but also the first student to graduate from the National Academy of Engineering’s (NAE) Grand Challenge Scholars Program at Arizona State University. The Grand Challenge Scholars Program (GCSP) became the Ira A. Fulton Schools of Engineering’s Scholar Academy in 2011, making it a unique, application-based program for highly qualified engineering students at ASU. 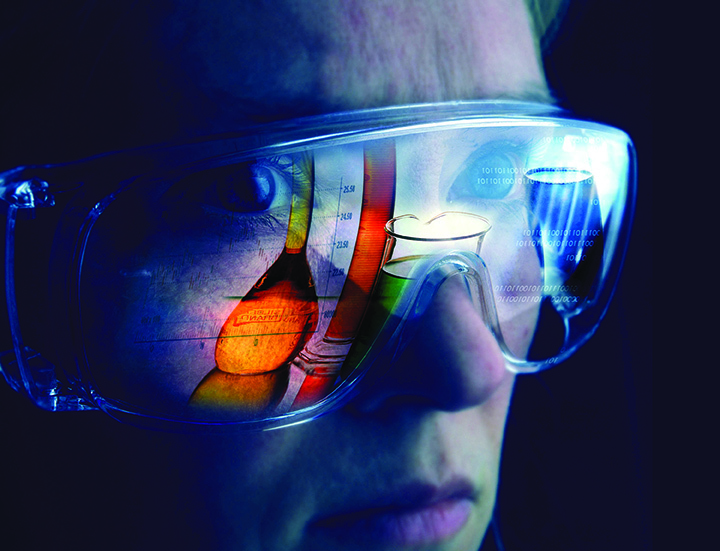 ASU is one of 47 leading engineering schools that have adopted an undergraduate education program guided by the “Grand Challenges for Engineering in the 21st Century” as designated by the NAE in 2008. These 14 goals detail the technological progress that engineers must help achieve to improve the quality of life throughout the world including, making solar energy economical, providing energy from fusion, providing worldwide access to clean water, engineering better medicines, advancing health informatics, securing cyberspace and seven other equally important challenges. Shah is one of 58 students nation-wide that chose to address these challenges through the GCSP in 2013. Other scholars came from top-ranked universities and colleges that include Duke University’s Pratt School of Engineering, The Franklin W. Olin College of Engineering near Boston, the University of Southern California’s Viterbi School of Engineering and Louisiana Tech’s College of Engineering. The Fulton GCSP combines innovative curriculum and highly involved research experiences as a way for students to go above and beyond the regular academic experience as they seek out entrepreneurial, global and service learning opportunities. Every student must complete the five components of the program which include, engaging in research related to their selected grand challenge, exploring interdisciplinary coursework, gaining an international perspective, engaging in entrepreneurship, and giving back to the community through service learning. Select high-achieving freshmen are invited to join the Ira A. Fulton Schools of Engineering’s Scholar Academy – the GCSP. Current engineering students also have the opportunity to apply for the program in later semesters. It seems like a lot to accomplish in four years in addition to all of the other undergraduate requirements, but Shah has shown that it is not only possible, but also incredibly rewarding. Shah took on the Health: Engineering Better Medicines theme of the Grand Challenge Scholars Program with a focus on medical devices. For the research component Shah worked in Jeffrey LaBelle’s lab on tear-glucose testing for diabetics as an alternative to the invasiveness of other glucose testing devices. LaBelle is an assistant research professor in the School of Biological and Health Systems Engineering. “Many people fail to monitor their daily glucose levels because of the invasiveness of certain devices,” says Shah. “This leads not only to poor health but also to rising noncompliance health costs.” The tear-glucose sensor would test glucose levels by a mere touch of the eye, preferable to the pricks and shots that many diabetics endure throughout the day. This research was also done as part of the Fulton Undergraduate Research Initiative program. In addition, Shah took on the interdisciplinary component by taking global health courses, one of which was at a graduate level. The majority of her global health studies focused on analyzing the biological and social risk factors that contribute to disease patterns and this data’s impact on public health and health policy. Shah developed a research proposal that focused on quantifying cooking habits in select areas around the world as a way of understanding the interventions that would improve respiratory health for children and adults. The service learning and global research experience components were achieved through Shah’s involvement with the Engineering Projects in Community Service program (EPICS). Shah is a member of the well-known 33 Buckets team that has researched and developed a water filtration system that simply and affordably reduces levels of arsenic and the subsequent risk of cancer in underdeveloped areas – specifically at the Rahima Hoque Girls’ school in Baher Char, Bangladesh. 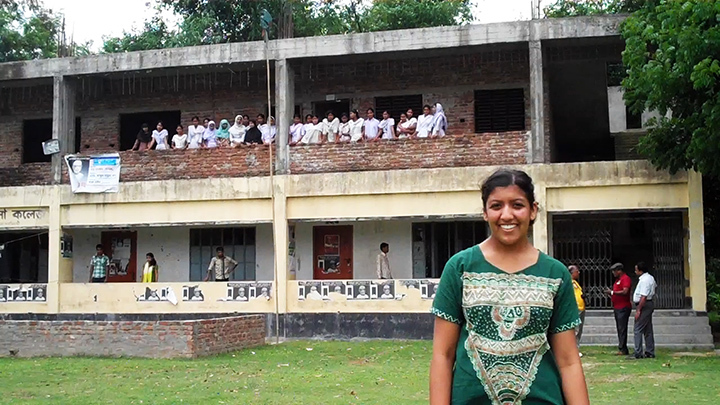 “Service learning allowed me to apply the skills that I learned in class to real-world problems in Bangladesh. We used everything from transport phenomena to physics,” says Shah. The five members of 33 Buckets even had the opportunity to travel to Bangladesh where they met with the local community as they studied potential growth opportunities for their filtration system and saw the effects of their service learning and involvement with EPICS. “Traveling to Bangladesh not only gave me a renewed motivation to continue my work as part of 33 Buckets, but also helped me to learn a great deal about myself, about being a part of a team, about communication across cultures, and about different perspectives on life,” says Shah. Shah went above and beyond in completing the entrepreneurship component of the Grand Challenge Scholars Program as 33 Buckets was one of five finalists out of 1,685 teams to travel to Austin, TX for the Dell Social Innovation Challenge finals where Shah gave a 90-second pitch to an audience of approximately 500 individuals on the successes of 33 Buckets as a business venture. They received a $5,000 runner-up award, computers and a camera for their achievements in the competition. They also had the opportunity to travel to MIT and Boston for a 3-week entrepreneurship course. Shah pictured in Bangladesh during 33 Buckets’ travels in the summer of 2012. 33 Buckets was also a two-time finalist in the ASU Innovation Challenge and won two P3 competitions through EPICS receiving around $3,500 dollars in funding. In addition to having all of these motivating opportunities and experiences, as a Grand Challenge Scholar, Shah has received a unique designation from both ASU and the National Academy of Engineers as her name will be the first from ASU to be added to the official NAE Grand Challenge Scholars Registry. Shah managed to do all of this while remaining a serious student in the classroom – graduating as a Mouer Scholar with a cumulative 4.0 GPA. “Pankti Shah is the ideal candidate to be our first graduate of the program because she epitomizes the spirit of the program in every way. She did the things that she is interested in, immersed herself in what she was most passionate about and prepared herself to be a successful 21st century global engineering leader,” says program director, Dr. B.L. Ramakrishna, a Diane and Gary Tooker Professor in the School of Engineering for Matter, Transport and Energy. “A high, but very achievable bar has been set for those who follow her remarkable example,” Dr. Ramakrishna adds. As the Fulton Engineering Academy the GCSP embraces all of the goals of Fulton Engineering by creating students who will be uniquely prepared to collaborate and succeed in a transdisciplinary and global engineering environment with the skills to help meet many of modern society’s most critical needs. The GCSP at ASU currently has 179 students with 151 additional incoming freshmen admitted this fall. 40 of those incoming freshmen attended a one-week residential Grand Challenge Scholars Program Summer Institute program to kick-start their experience in the program. Shah is currently working on a master’s degree in Bioengineering Innovation and Design at Johns Hopkins University. 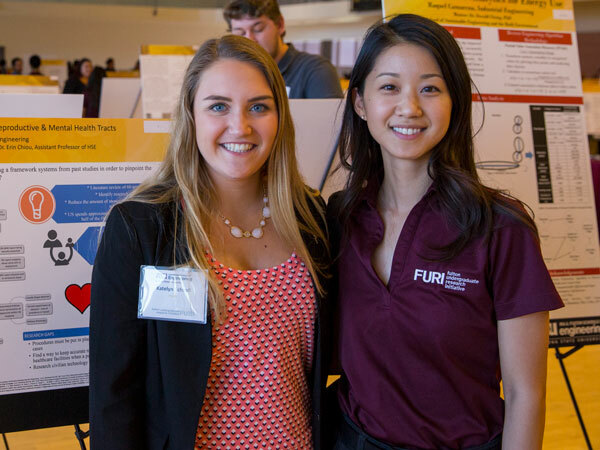 The program emphasizes national and global health innovation, something that Shah is “passionate about” as a result of the Grand Challenge Scholars Program and her numerous engineering experiences at ASU.